Log onto chaverware to register for this awesome event. The event is titled: Machane TBA Gr. 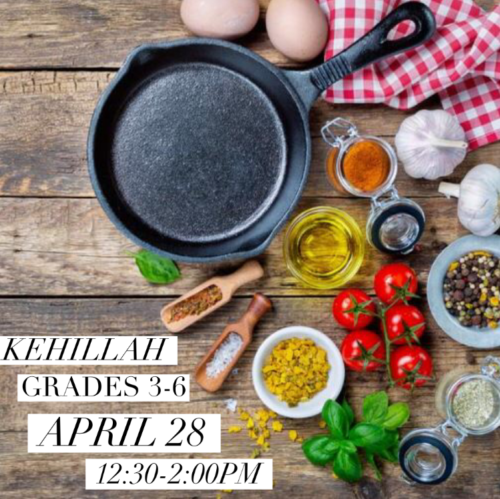 3-6 Kehillah Cooking (FY19) 14200 The cost of the event is $18 Specific food and allergen information to come. Macaroni and cheese- water, milk, macaroni pasta, american cheese, dijon mustard, cayenne pepper (potential other cheeses) .